Ever since the Hobbiton Movie Set opened, I've wanted to visit. While I've read all the Lord of the Rings books and watched all of the movies, I still wasn't a huge fan. That didn't matter though, the Hobbiton Movie Set in New Zealand looks absolutely charming and I just had to go! When New Zealand was confirmed as one of our honeymoon destinations, the Hobbiton Movie Set Tour was the first thing that was booked. We were both so excited to check out the movie set that we've heard so much about. Since it was our honeymoon, we decided to go for the Hobbiton Banquet Tour which included the tour of course as well as a Hobbit-style banquet feast! 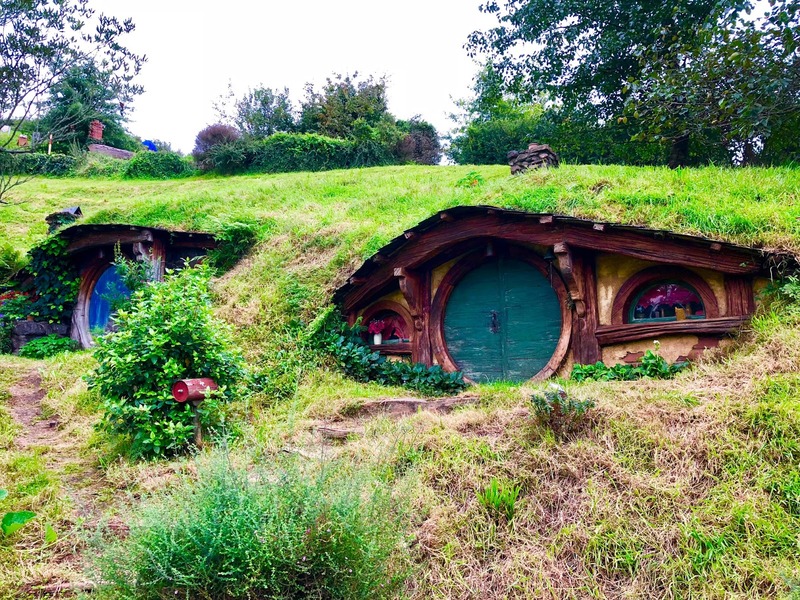 The Hobbiton Movie Set is located in New Zealand, a small town called Matamata. It's about a 2 hour drive south from Auckland. Matamata is a small town with an approximate population of 7,000. 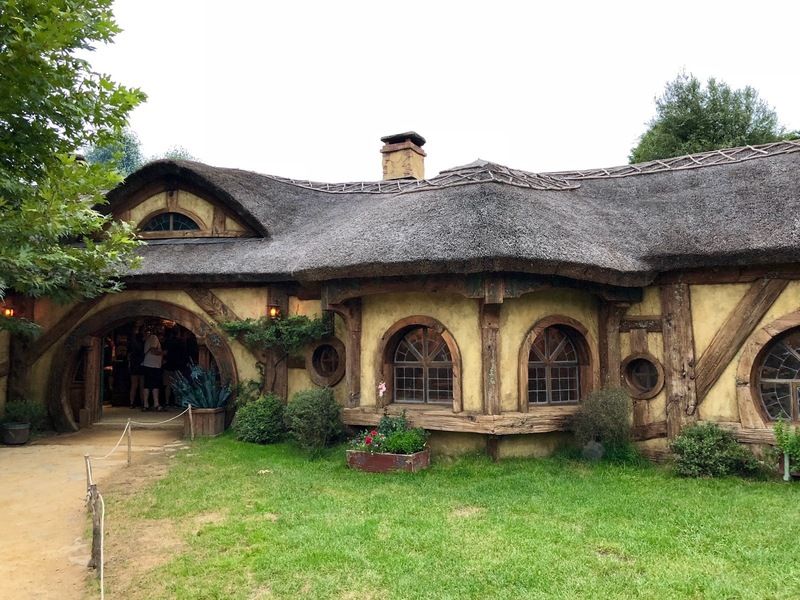 We stayed overnight at the Matamata Motel since our tour was going to end late in the evening but from what we saw of Matamata, there's not much to do other than the Hobbiton Movie Set in terms of tourism. We did head down from Matamata to the Waitomo Glowworm Caves and the Kiwi & Natural Bird Park from Matamata the next day, which was convenient since it's just another 30 minute drive south from Matamata! 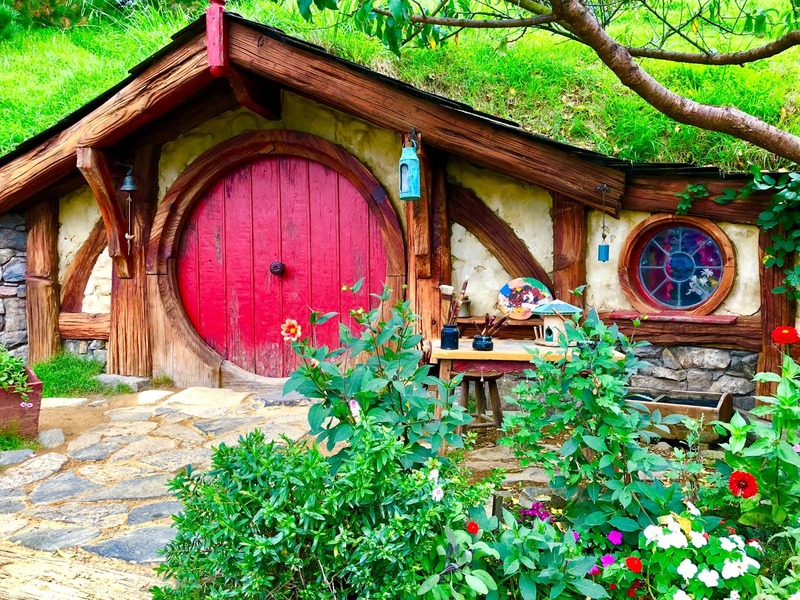 What kind of tours can you take at the Hobbiton Movie Set? There's a number of options you can choose from at the Hobbiton Movie Set. Hobbiton Movie Set Tour ($84 USD - 2.5 Hrs): This is the basic tour of the movie set. It lasts approximately 2.5 hours. 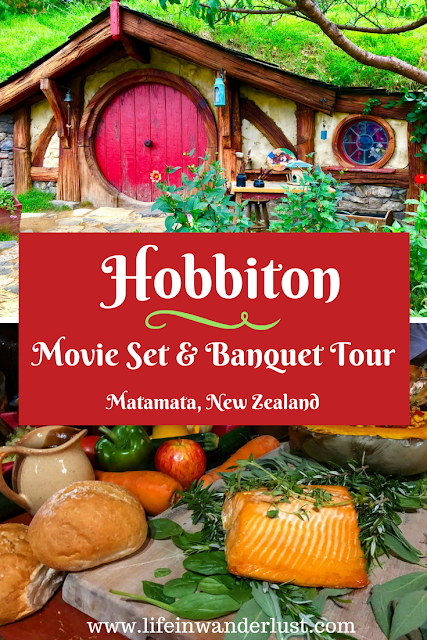 Hobbiton Evening Banquet Tour ($195 USD - 4 Hrs): The banquet tour includes the movie set tour and a dinner! Lasts approximately 4 hours. Hobbiton Movie Set Chinese Tour ($84 USD - 2.5 Hrs): This is perfect for Chinese tourists as the entire tour is done in Chinese. Hobbiton Private Movie Set Tour ($750 USD - 2 Hrs): If you're baller enough, you can get a private movie set tour for $750 for up to 4 people! 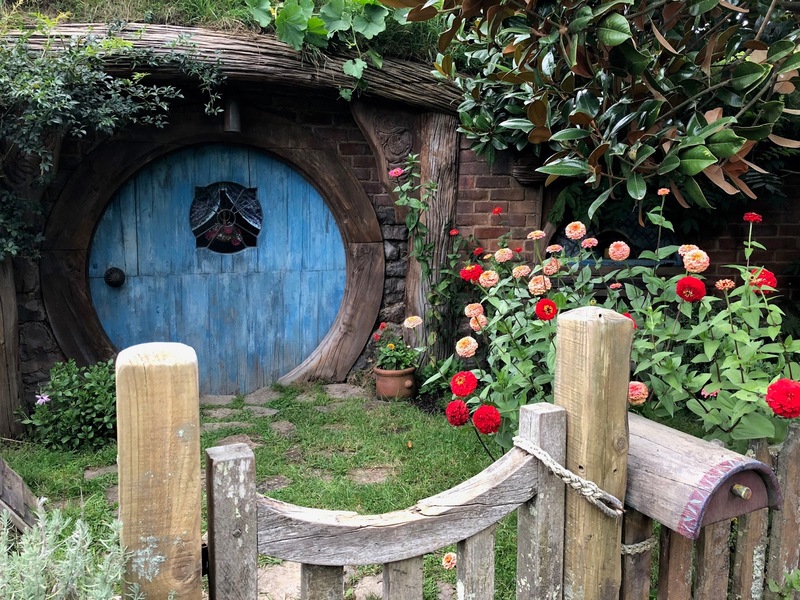 What is the Hobbiton Movie Set Tour like? The Hobbiton Movie Set Tour starts at the Shire's Rest, basically the parking lot and lobby area for the tour. You check in and wait for your time. 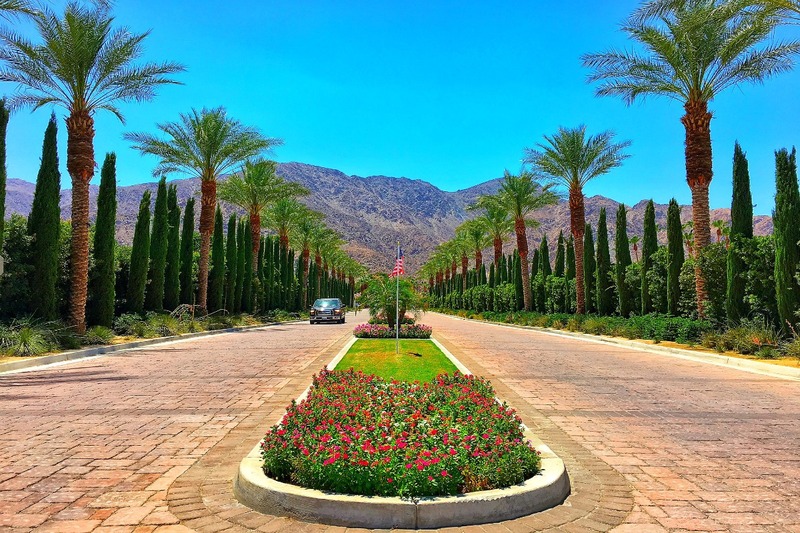 When the time comes, you'll ride a bus through the rolling hills while you get to know your tour guide and learn fun facts about the set. 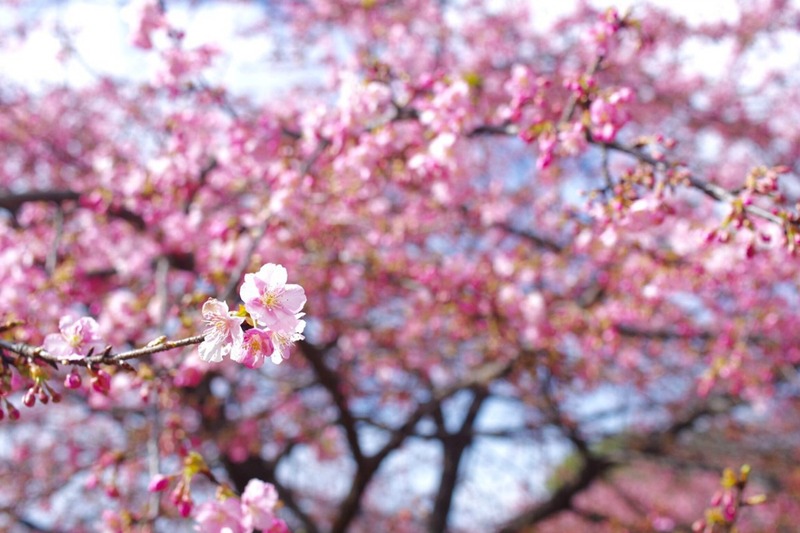 Once you arrive, the official walking tour starts and lasts for about 2-2.5 hours. I know that sounds long but it's not because of the distance or mount of walking. 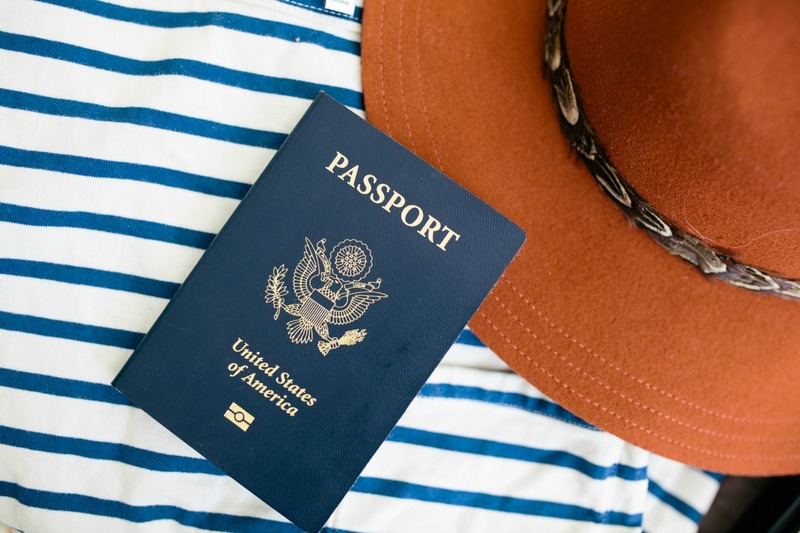 It's because they give you plenty of time to explore and take photos. For 'photographers' like me (I quoted that since I'm in no way a professional photographer! ), the amount of time we got to explore pockets of the set freely was much appreciated! Although, keep in mind there will be a lot of walking and while I'm not 100% sure, I get a feeling it is not ADA friendly. Wear flats, sneakers, something comfortable! 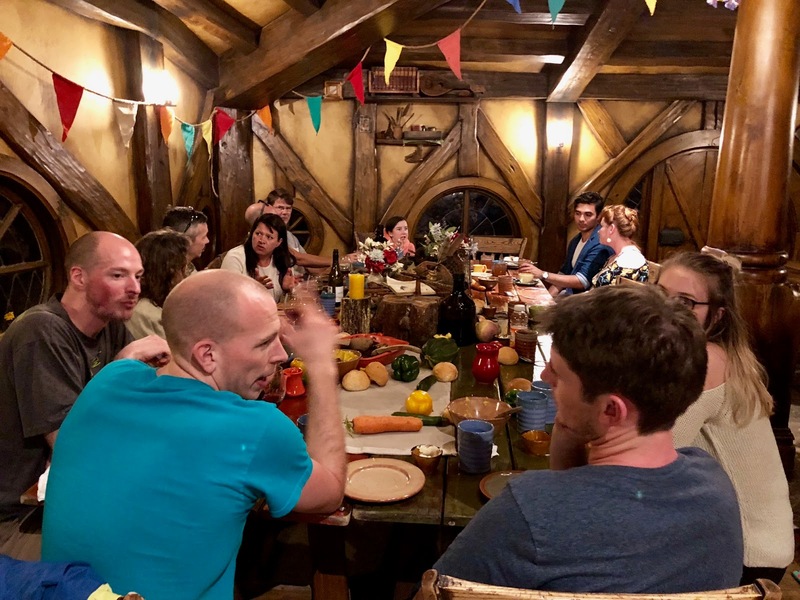 What is the Hobbiton Banquet Tour like? 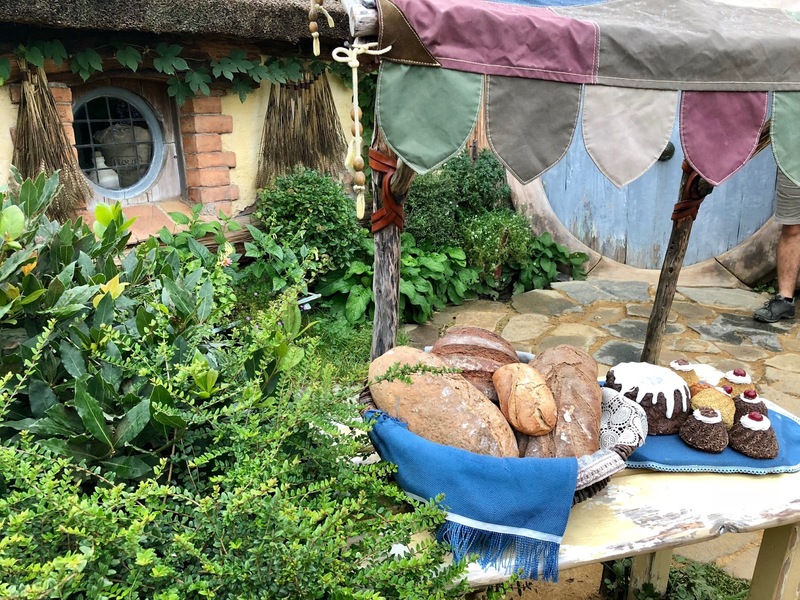 The Hobbiton Banquet Tour is everything above including a meal. Not just any meal, a Hobbit's banquet! 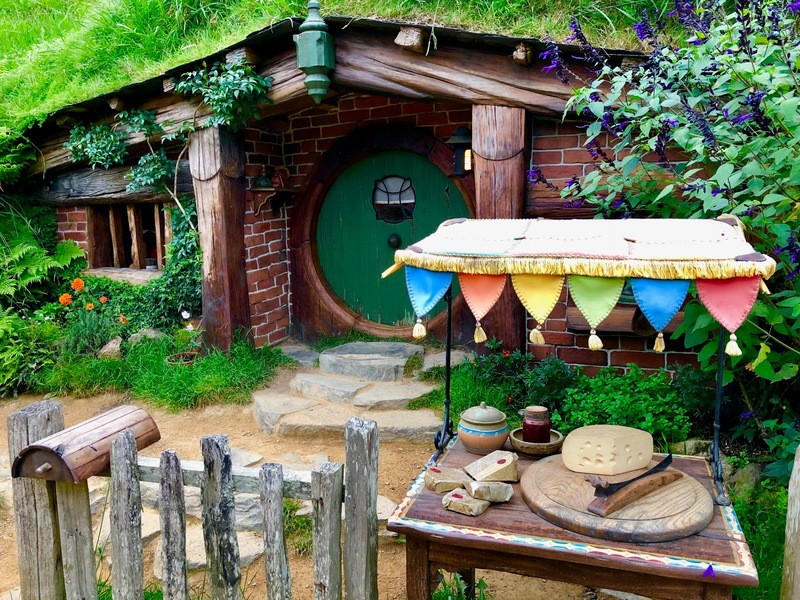 Don't let the higher prices deter you from going for the Hobbiton Banquet Tour. We were reluctant about it too since our honeymoon was costing us an arm and a leg already but we're so glad we went for this choice! Not only do you get the tour and food, there's an unmentioned benefit of being the last guided tour through Middle Earth, which means your photos have very little people in it and it truly feels like you're on a small private tour. 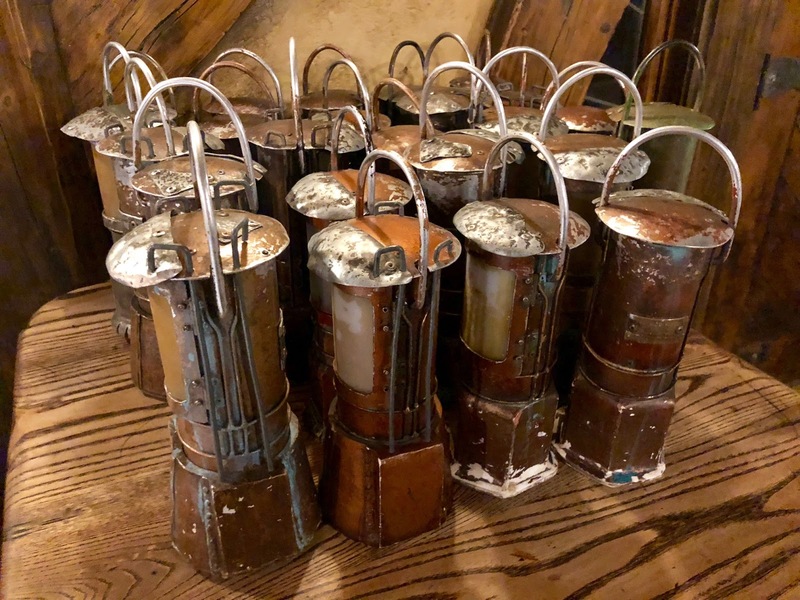 Additionally, you're the only group of the day that gets to walk through the Hobbiton Set again in complete darkness with lanterns. The lights turn on at night and it gives a completely different vibe to the Hobbit Houses. As for the food, it's a blast! 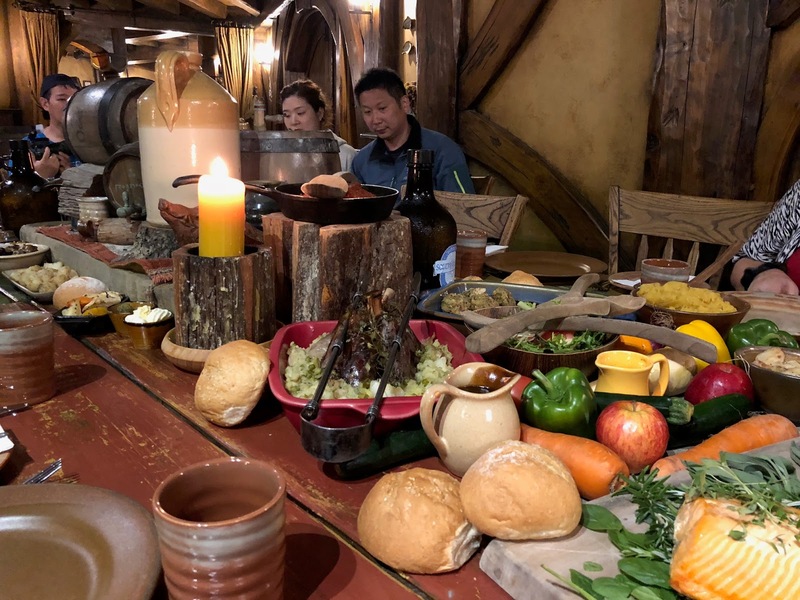 You check in and start with beer on tap that's exclusive to the Hobbiton Movie Set, then the staff welcomes you into the banquet hall where the tables are adorned with food, Hobbit style! You chat, drink and feast the night away which felt amazing after the long tour. After the meal, they clean the tables and bring out dessert (best part, in my opinion!) to finish off the evening. 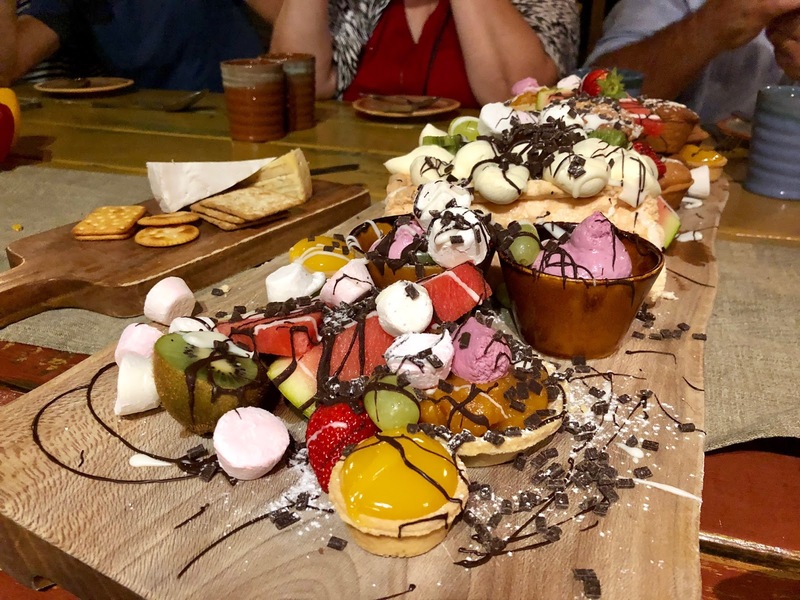 I've seen reviews of the Hobbiton Banquet Tour food being bad but I'm wondering if they've improved it since I personally (amongst others) thought it was delicious and very well curated! Oh wow, that feast looks so good! It was delicious! So much fun. Have you been? This looks amaaaazing! We didn't visit Hobbiton in the end when we were in the area (we only had a few hours to spare, so we visited one of those awesome volcanic areas and a hot spring instead!) However I did really like the idea of it. You have made it look awesome, especially the food! This is cool. I want a Hobbit's banquet! It looks delectable.